In partnership with the International Clarinet Association, our blog is now merging content to The Clarinet [Online]. Electronic versions of Clarinet Cache columns featured in The Clarinet can now be accessed at www.clarinet.org/tco. Become an ICA member today and you'll get full access to our columns! Part 1: Getting Started Today, more and more musicians are creating websites and establishing an online presence as a marketing tool. Current technology offers free or inexpensive options and various outlets for developing personal websites, including sites with built-in features to assist those with limited technological experience. In this first installment of a series of columns on creating an online presence, we will explore ways and share ideas on how to effectively market yourself on the internet. 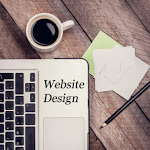 Why should I have a website? Professors, private studio teachers, students, freelance musicians and ensembles can benefit from maintaining an online presence. Performers will want to promote themselves and their music, while teachers and students may want to incorporate more educational components into their sites. A very simple website for a clarinetist might serve as a sort of online business card, with an email address, a short professional biography and a headshot (photo). Other features might include audio or video recordings, a calendar of events, and links to other relevant websites. This approach provides a landing place for people who are actively trying to find information about you, but it generally does not attract frequent or repeat visitors. A blog is a specific type of website, or a part of a website, that is great for providing serialized information, such as articles called "posts" that are published on a regular or semi-regular schedule. Blog “platforms” like WordPress and Blogger are online services that provide lots of other built in features, like the ability to categorize or tag posts, a search function, and automatically-organized archives of old blog posts. In some cases, a website can become a small source of income. If you have products to sell, your website can be a place to receive orders. You can also make space available for advertising, if that suits your vision for your site. Advertising deals can be made directly with sponsors, or ads can be provided by services like Google Adsense. Advertising can pay handsomely for the very highest-traffic websites, but smaller sites may earn only a few cents per month. Do I need to be a computer whiz? Will anybody visit my website? Social media is a great way to promote new content, like recent blog posts or new performance videos. Start by sharing links to your latest creations on the social media sites that you use most (Facebook, Twitter, and Pinterest are popular ones for sharing links). Your friends and colleagues are the most likely people to re-share those links with their own contacts, and strong content can, with a little luck, spread to a wider audience. Syndication feeds, including technologies like RSS (Really Simple Syndication) and ATOM, make it possible for individuals to “follow” your blog using a feed reader (Feedly is a popular choice), so notifications of your latest posts are delivered to them automatically. Syndication feeds also help sites like Google, Facebook, and Twitter present your content to potential readers in an attractive way. Most blog platforms, including WordPress and Blogger, work behind the scenes to provide this feature automatically. Stay tuned for the next column in our series that offers a comparison guide to help select the right platforms for your online needs.